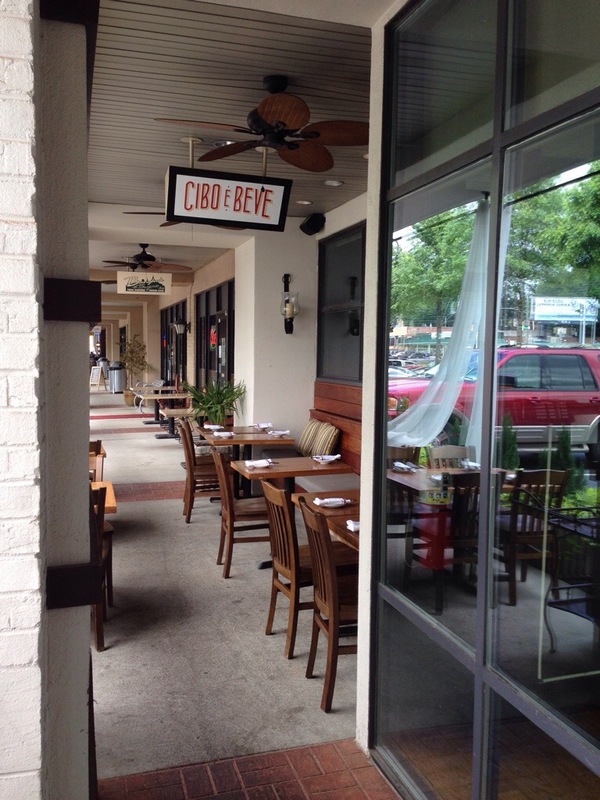 Jo had mentioned Cebo e Beve (which, according to our waiter is Italian slang for “grub and beverage”) as she had seen them on 11Alive as a server of Springer Farms chicken, when we had been eating at Ammazza the weekend before. 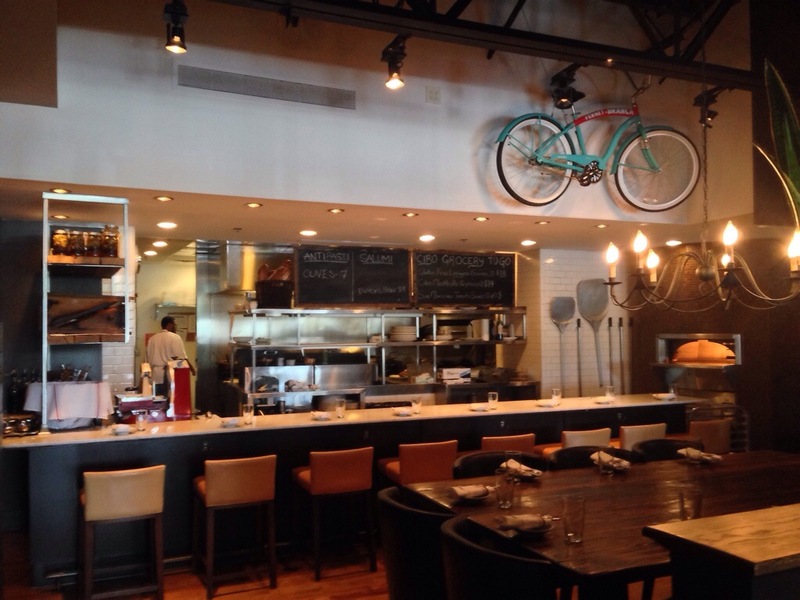 As we were looking for some place new for lunch that we could make a 12:30 reservation, they popped up and we headed to Sandy Springs after church. It turns out that the reservation wasn’t necessary – the place was empty except for two ladies at a table in the corner, when we arrived. Maybe people don’t know that they are open for lunch on Sunday? (We were hoping for that one, both before and after we ate). 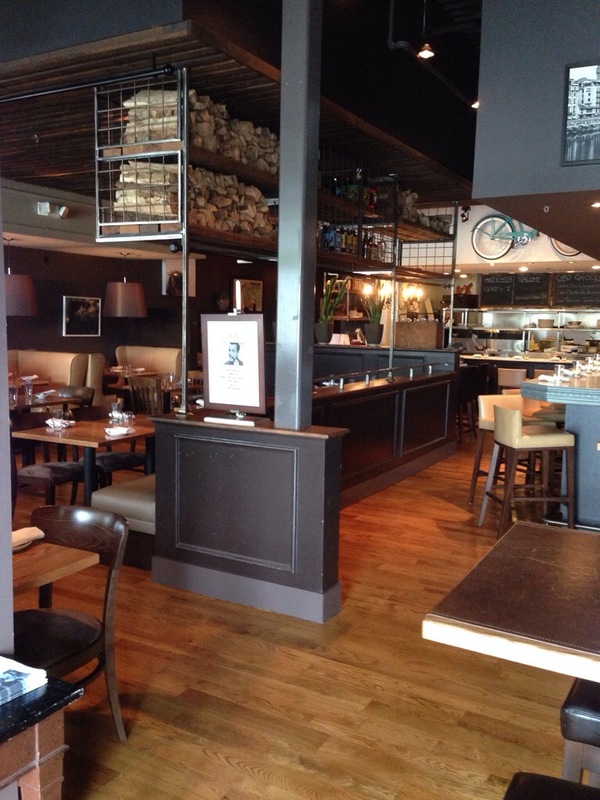 We were seated and a very Italian waiter came around and told us about the specials and the very simple brunch menu. Jo was intrigued by the lobster spaghetti, which was one of the server’s suggestions, but she was looking for something a little lighter. 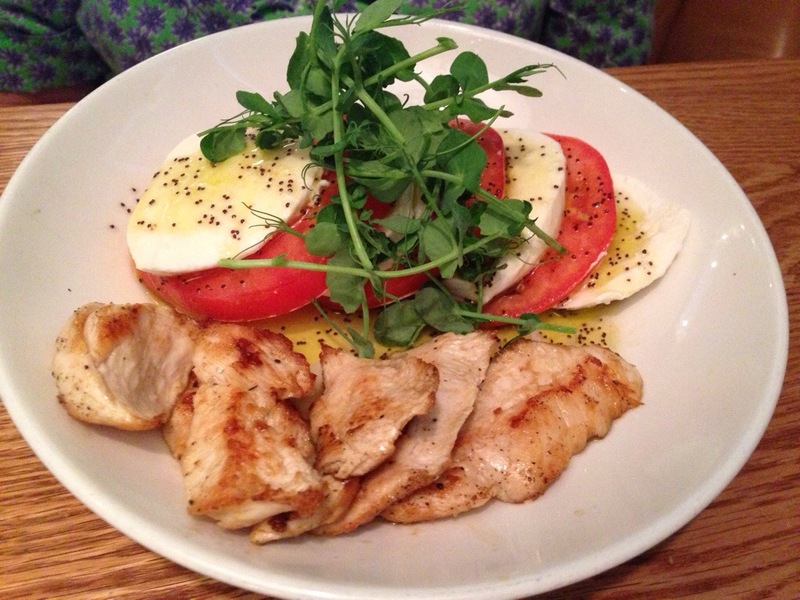 She decided, instead, on the caprese salad and added grilled chicken. This was a different take on a caprese, based on the description (burrata, heirloom tomatoes, micro basil, poppy seed, local honey and balsamic), but her order was almost foiled when the chef yelled, “We used all the burrata [a ball of mozzarella cheese, filled with mozzarella and cream] last night. Ask if the fresh mozzarella is okay.” It was and the dish was very tasty – the honey and poppy seed added new flavors to a familiar favorite. Definitely a winner. 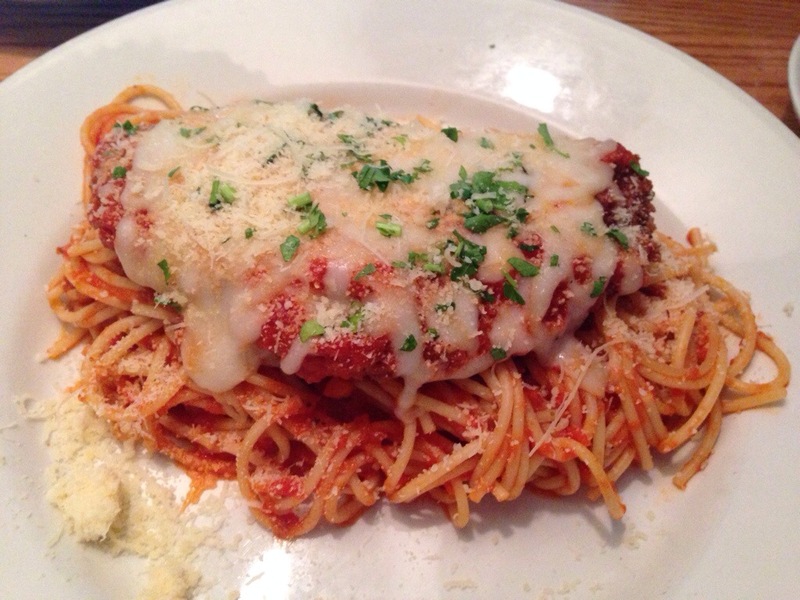 I went with one of the recommendations – chicken parmigiana. This dish was very good, served over house made pasta and a San Marzano tomato sauce that was the second best pasta sauce I’ve had “out” in the last year (check out Gia’s Chicken Amalfatino for the best sauce in town). This sauce was excellent. So good in fact, that we took a large container home (from their “Grocery To Go” menu) and had it on spaghetti and in lasagna over the next week. The restaurant was beautifully decorated with a “chef’s table” at the back where you can see into the kitchen. I hope that the small crowd was indeed indicative of people not knowing they were open on Sunday afternoon. And maybe they do a good business at night. They should – it was very good.